Just wanted to introduce myself. 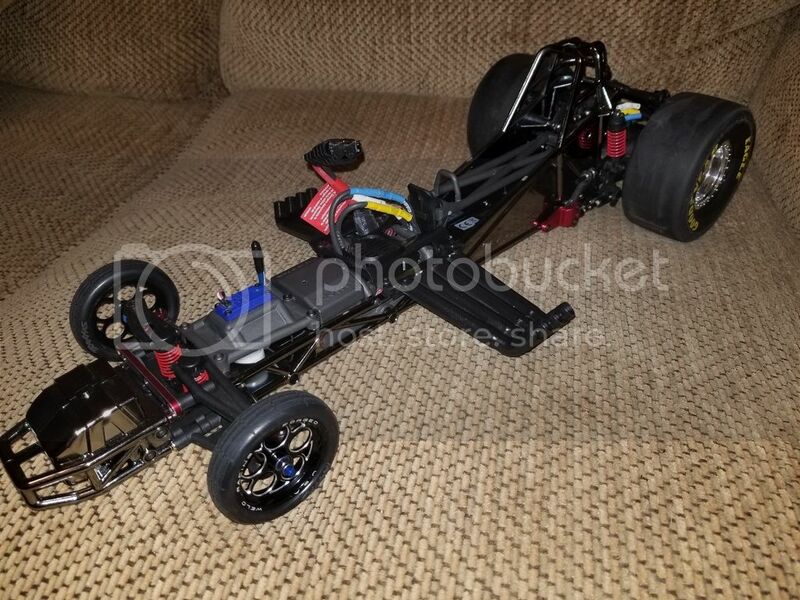 I have been doing RC for a few years but I tend to jump around on the builds that I do. First stated off in heli's, then went to Tanks, then crawlers then monster trucks. 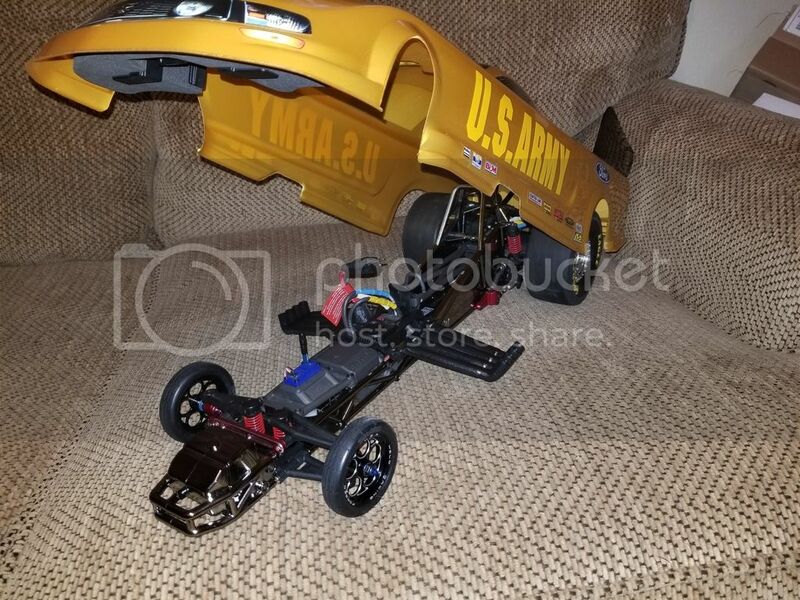 Now I'm trying out the Traxxas funny car. Just got a roller off of ebay. It came with just the chassis, wheels, servo and radio with receiver. 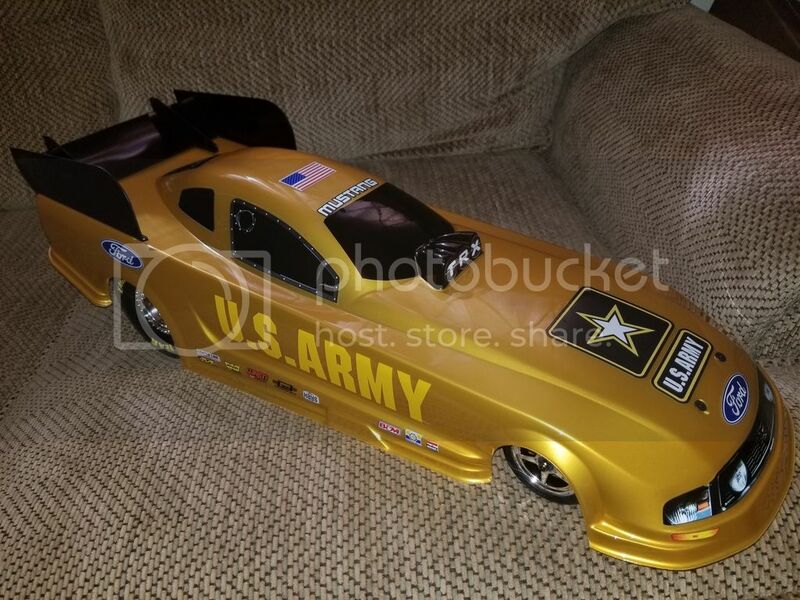 the radio and servo and receiver are all stock items that comes with the funny car. I have installed a traxxas Velineon VLX-3S ESC and 3500kv Velineon motor. The ESC was a tight fit, but after taking off the brace by the receiver and the one next to the battery clip, I was able to fit it in. Also the shaft on the motor is longer then the stock motor so I had to drill a small hole in the cover that mounts over the pinion gear to clear the shaft. but it has all worked out so far. 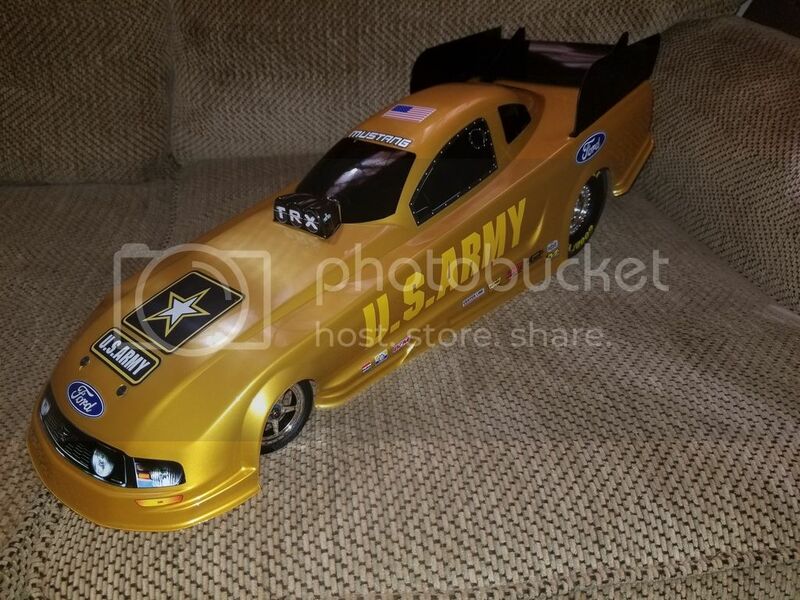 Have also got a clear mustang body for the chassis, still thinking about what color to paint it.Well that as far as I have got so far. 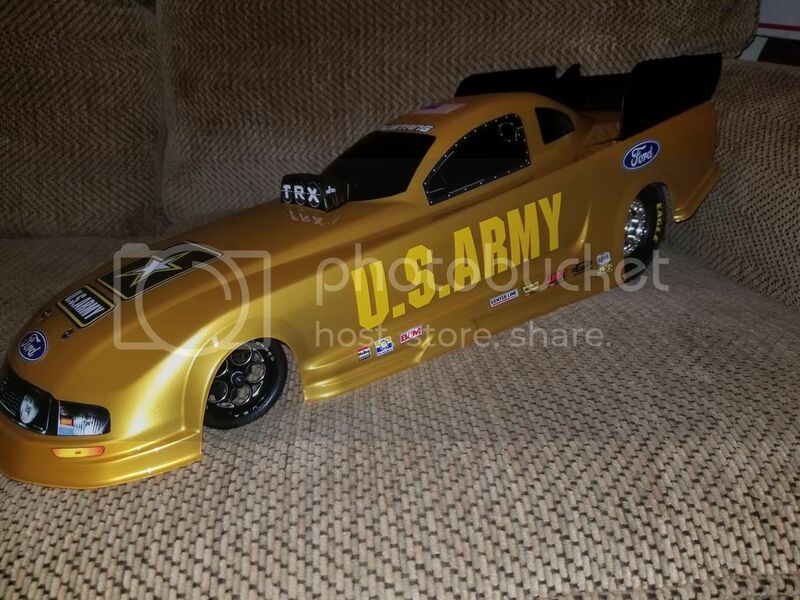 Im looking forward to being a member of this forum and am looking forward to reading about what everybody has done to there funny cars. I tried to post pics of what I have done but cant seem to get it right. Last edited by wolfen99; 09-07-2018 at 12:26 PM. update on my funny, got it painted, going to add a few more decals, waiting for some to come in. Last edited by wolfen99; 09-15-2018 at 07:51 PM. All done with decals, I did change out the front windshield, I wanted the front windshield to look like the back window. 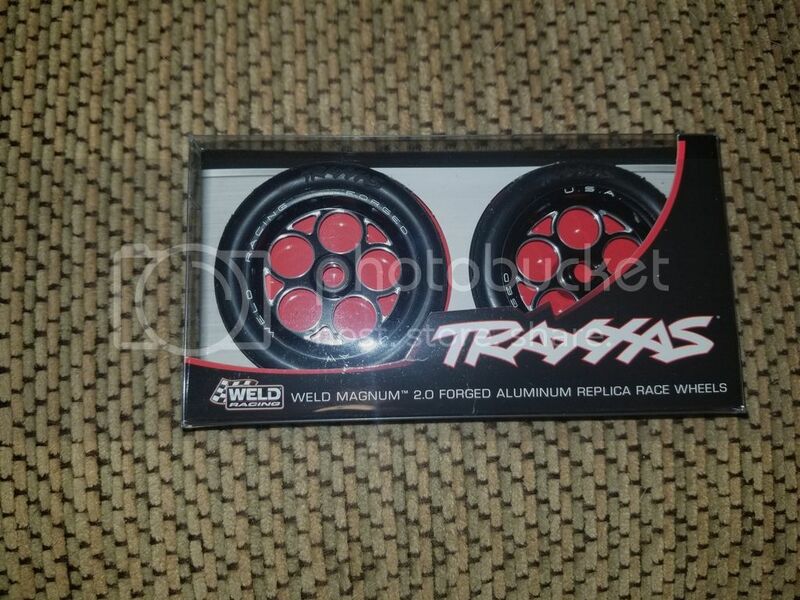 have some different front wheels coming in soon, tra6969's. I also found a et-2400kv motor and the ET-3s esc and installed them. Last edited by Double G; 09-18-2018 at 03:52 PM. looking good. those wheels really set it off. need to find a way to outline or something the U.S. ARMY on the side. had thought about that but really didn't know how to do that, maybe next body will be a little bit better. going to do a display chassis with a another mustang body . trying to come up with a different theme. installed a few more goodies from traxxas. Last edited by wolfen99; 09-27-2018 at 05:54 PM. Thanks, not reaaly much more to do, may do another body.